Skin is a living part of your body (your largest organ, in fact), that defends against environmental assaults and extreme temperatures, It helps eliminate toxins from the body. It heals from cuts, abrasions and scratches like a champ. It’s continually renewing and protecting.Simply put, skin keeps the bad stuff out and the good stuff in. Your skin needs personal attention from a professional – and that professional is an Image professional skin therapist. Once you have relaxed , your therapist will guide you into your relaxing treatment room where she will complete a double cleanse and prepare your skin before beginning the layering of the treatment. The four layers consist of a peel containing high doses of the most sophisticated forms of Vitamin C and enzymes, layered with masks high in glycolic acid and enzymes. There may be tingling during the treatment but this will be totally comfortable. Your therapist will use cool water to remove the peel which feels lovely and soothing to reduce the tingling sensation. Serums and aftercare are then applied leaving you glowing and refreshed before your therapist will discuss your homecare. On entering your candle lit treatment room, your therapist will make you comfortable on a warm treatment bed before starting with a double-cleanse to prepare your skin. Your therapist will complete an exfoliation containing enzymes which will leave your skin fresh and rejuvenated. This is followed by an effervescent oxygenating mask which by infusing oxygen will leave your skin bright and revitalised. A rejuvenating serum is applied followed by an illuminating moisturiser which completes your facial. Your therapist will finish by offering advice on future treatments and any recommended homecare. A papaya, pineapple, pumpkin and mango infused blend of organic and medically effective ingredients designed to re balance tired, stressed and dull-looking skin. This non-chemical peel naturally re balances, regenerates, restores and soothes your skin with organic ingredients. special offer! 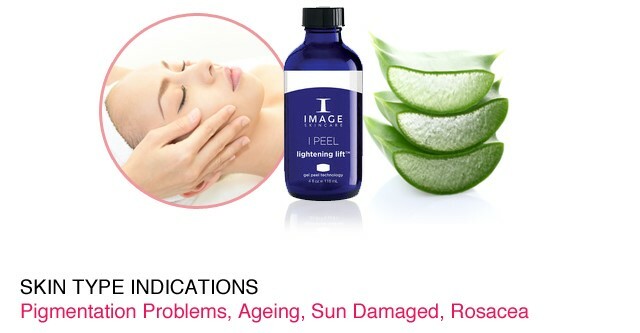 - course of 6 new image peels for only €475! A course of any 6 of the NEW Image Peels!